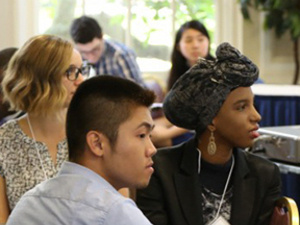 After the success of the 2018 Mentoring and Advising Summit last April, the Office of the Provost is pleased to host the 2019 summit: Diversity and Excellence in Mentoring and Advising. Join colleagues from across the University of Pittsburgh to explore how we can continue to build a strong culture of diversity in our mentoring and advising work. In this day-long summit, we will discuss innovative approaches to expanding and enhancing our existing structures and processes to better facilitate the mentoring and advising experience for students. We will focus on specific tools, tactics, and techniques that support students to chart clear goals and direction for the future, develop enduring networks of colleagues and mentors, and sustain their pursuit of success after graduation. *Conference registration is now open. For more information on this event, visit our webpage. Thursday, March 7 at 8:30 a.m. to 5:00 p.m.